Looking to Improve Conversion Rates of Your Medical Website? 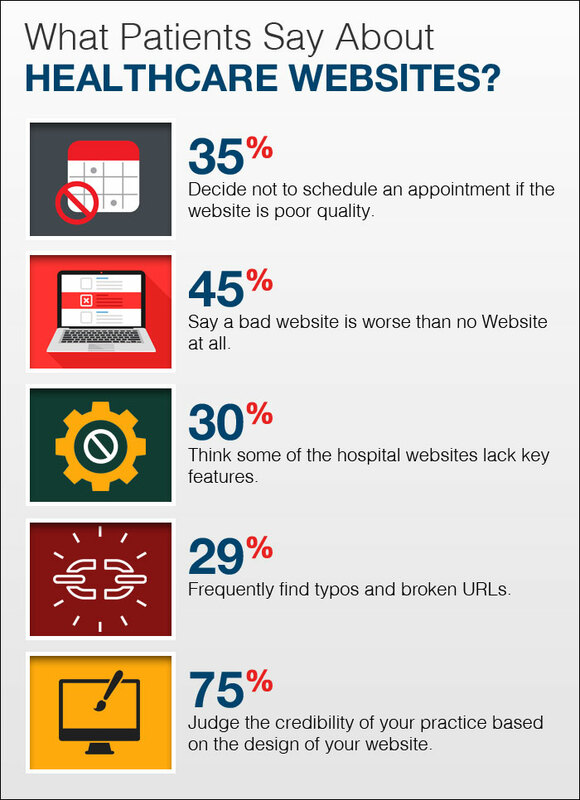 Are You Looking to Improve Conversion Rates of Your Medical Website? 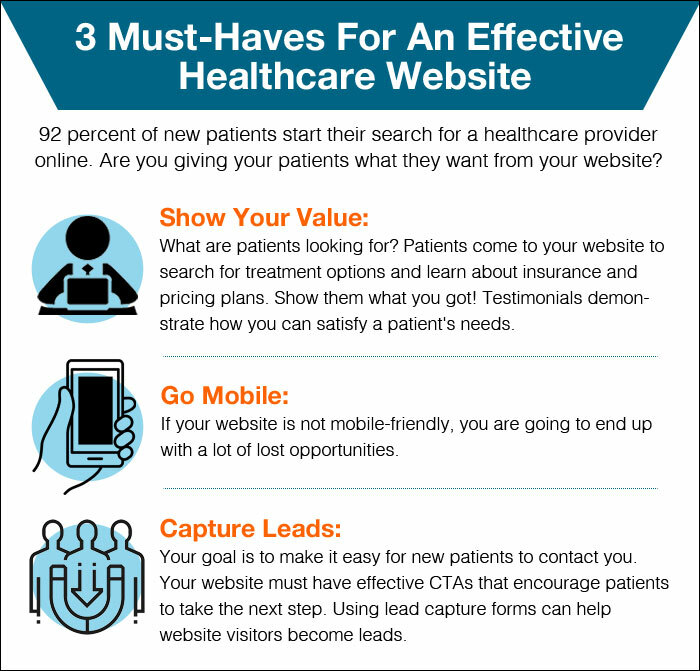 So, your medical practice has a website and you want to drive more traffic or potentially more patients. What can you do? Most website owners instantly think about marketing and spending more dollars. Undoubtedly, getting more visitors to your website means more new patients will schedule an appointment? “I can spend more money on Google AdWords and I will attract lots more leads.” Isn’t that how it is supposed to work? Yes, that is true, but such strategies can also be a complete waste of money. Instead, you can spend your hard-earned money on making the most of what you already have. The more intelligent way is to make your current website visitors more engaged. By increasing the conversion rate of your website, you get more appointments without driving more visitors and without the hefty marketing costs. In case you are still wondering, let us understand the concept of conversion rate. 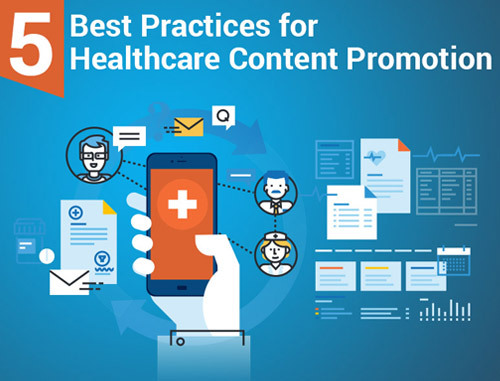 The conversion rate of a website is nothing but the percentage of potential patients who take a specific action, such as schedule an appointment, subscribe to your newsletter or fill in your contact form. For example, if you have 500 visitors a month but only 10 take a certain action, you have a 2% conversion rate (10 / 500 x 100 = 2%). And, What Is a Healthy Conversion Rate? Many practice owners are surprised at how low their conversion rate is. This is because most practice owners assume that most visitors would want to schedule an appointment. Generalizing the concept of a good conversion rate is difficult. This is mainly because conversion rate depends on many factors, including what do you want your site visitors to do, what is your specialty, and how much do your services cost? For some, a 3 percent conversion rate may be considered good. For others, terrible. The best way to start is by assessing your current conversion rate. Whatever you are achieving now, try to improve it. However, be realistic. You will not be able to change it from 2 percent to 40 percent overnight. It is amazing how addictive it can become once you see an initial boost. You will want to experiment more to improve it, and soon you will get an idea of what works and what does not. 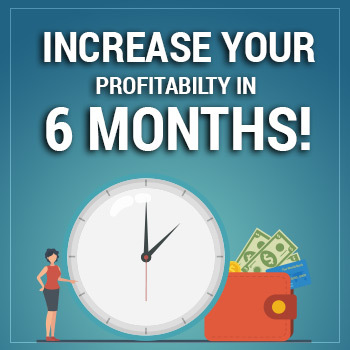 It is important to note that conversion rates can change over the month or year. So, track your pattern and take an average year-on-year. Segmenting conversion rates by visitors or referring channels can prove useful, as well. You may convert remarkably from direct visitors but poorly from social networks. In such cases, it is essential to compare the overall conversion rates and determine what can be done to increase the rate of poor-performing channels. Unfortunately, no magic wand can make your visitors schedule more appointments. The key is to identify what might be stopping your visitors them from converting and work out ways to fix it. Sometimes, underlying factors such as finding the right link, being able to see a button or knowing how to navigate your website can make or break a conversion. There are some online tools that you can use to identify problem spots. Once you have identified the issues, you can then quickly fix them. To begin with, you need to decide what you want visitors to do on your website. Schedule an appointment? Buy a product? Fill in a form? Download an eBook? What is the purpose that you want your visitors to achieve? Once you identify the goal, make sure your website can track it using analytics. Unless you know your current conversion rate, you will never be able to improve it. For sure you know your website like the back of your hand, but it is amazing what new things you can discover when you behave like a website visitor. Set yourself a task. Try to schedule an appointment, or to download an eBook, or whatever is relevant to your website. You must start from your homepage and navigate your way through your website until you reach your destination. While doing this, look at each page and section, and think of ways to improve every step. Is there anything that was inconvenient? Did you find what you were looking for? What can be done to improve the user experience? Almost all websites these days have analytics packages on them. This analytics can help you understand how many visitors you get and what they are looking for. To begin with, make sure your website is tracking conversions. If you want to monitor other activities, such as downloads, contact forms or subscriptions, then set up your analytics package to track these critical actions. Once you have the relevant data for your conversions, you can start following it and see if any change improves the performance. This analytics can show you critical indicators, such as at what point most visitors were exiting the site when they got bored. One thing to note here is that visitors from different referrers may act differently. For instance, visitors who come to your website via your blog may never book an appointment. This may be because they just wanted to enhance their knowledge by reading your blog. How can you encourage such visitors to perform other actions? Assess your data to understand who your target audience are, what they look at and how they get to your website. Once you have understood what your website visitors do, you can look for opportunities to improve. 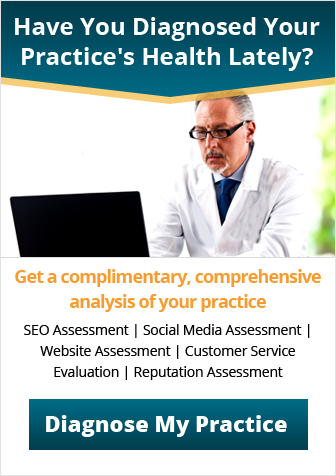 Why not ask your potential and existing patients what they think of your website? 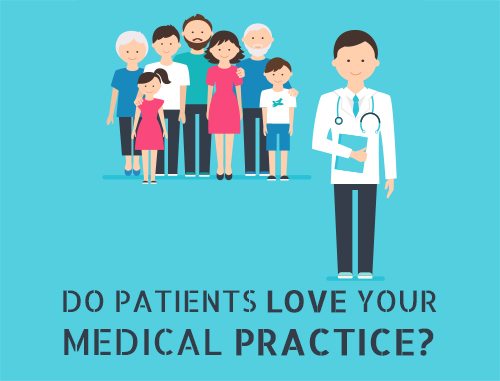 Whether it is via a survey, email or social networks, your patients might give you some honest feedback. Be careful though; it is tempting to offer incentives to encourage a response. However, if your target audience thinks a prize is at stake, they tend to give positive feedback in order to win the prize. As much as it is great to hear positive words, you need genuine and constructive feedback, as well. So avoid offering incentives. If you have competitors who are doing well, try and figure out the reasons. How is their website different or better than yours? Is there something you could learn from them? Why would patients choose them over you? Find out the answers to these questions and you may get some great insight to improve your own website. If you have a gut feeling that something is wrong with your website, just go ahead and test it. Testing is the most efficient way to see if there is an improvement. The best way to test your website is via A/B testing. During A/B testing, you show multiple options to your website visitors and see which works best. There are a number of tools to facilitate testing, which will help you manage the different versions and collect the data for you. Just a word of caution: Try not to test lots of elements at once as it may become difficult to tell which changes made the difference. It is best to tweak one component at a time, and if your conversion rate gets worse, go back to where you were. In addition, make sure to leave your tests long enough in order to get a few hundred visitors to make the data credible. Do you look like a credible practice? Do you have a positive online reputation? Do your services or treatments have positive reviews? Is your staff friendly and approachable? 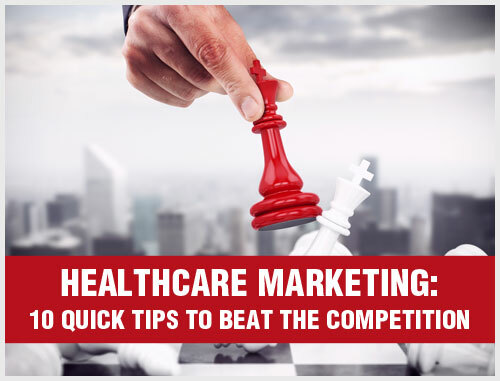 Is your competitor undertaking some prominent marketing activity? 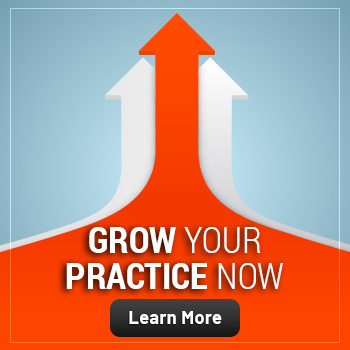 Make sure your practice looks trustworthy. Patient reviews and testimonials will come in handy here. Highlight your unique selling prepositions (USPs) – What makes you different from your competitors? Make sure CTAs can be easily seen. Are your prices clear and competitive? Do not put off your visitors by asking for unnecessary information. Make your website easy to navigate. Prominently display relevant information such as address, office location, working hours, phone number and email address. Keep an eye on your website analytics. This is because a sudden drop in visits could mean an issue with your website. The above points are very simple and are capable of making a difference. However, do not forget that medical website design companies, such as Practice Builders, can give you a helping hand. Whether it is not knowing where to start, or you think you have done all you possibly could, talking to a website expert can really make a difference. The experts have years of experience in delivering efficient websites and can spot issues that you may not have noticed. These companies also build and design websites, and therefore they will not only recommend improvements but also implement them for you. These experts can also help you with setting up your analytics or testing different options. Yes, hiring a website design expert may cost money, but if this can improve your conversion rate, then every single penny is worth it. In addition, for most practices, an increase in the number of patients can more than cover any costs that may have incurred in hiring such experts. Even if you think your conversion rates are healthy, experimenting with CTAs and contact forms can help improve your conversions even more. Trying different options will help you understand what your website visitors respond to best. If you are satisfied with your conversion rate, try to attract more visitors. Spend time and money on AdWords, send out direct e-mails and promotions, go for paid ads or do whatever marketing activities suit your practice best. Even without spending more money, it is possible to get more visitors because if your website is appealing, your target audience may start coming back often and recommend you to their family and friends via social media. So, give it a try. It could really make a difference to your practice. Do you want to improve your website conversion rates? Talk to experts at Practice Builders to get started. If You’re Thinking About Buying Followers… Don’t!